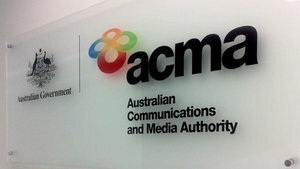 A 12-month renewal for an Amateur licence is now $51, according to a new schedule of Apparatus licence fees published by the Australian Communications and Media Authority (ACMA) on its website on 7 April. This is a drop of $24 from the $75 that applied to renewals earlier this year. The last time that licence fee renewals were at $51 was 20 years ago! Indeed, the WIA has confirmed that some amateurs have taken advantage of this already. The WIA understands that relatively few licensees are affected by having the incorrect fee applied to their recent licence renewal. However, while renewal fees have dropped, the ACMA’s fee for the issue of a new licence is now $75, up by one dollar on the fee that prevailed over the previous year. All WIA Assessors have been notified that candidates who pass their assessment now need to pay the ACMA fee of $75 for their initial licence. While, to some people, this may seem a comparative disincentive to new licensees, there is essentially no change to the situation that has prevailed to date. The WIA was forewarned earlier in the year that there would be a reduction in licence fees, but the ACMA could not give us a date at that time. The ACMA apologised for its oversight in not advising the WIA at the time the new Apparatus licence fee schedule was published on its website earlier this month. Answers to questions about the new cost of a 5-year renewal, the fee for a change to a licence, what happens with the remainder of 5-year renewals already in progress etc, are being sought from the ACMA and will be published here when they’re available. Thanks are due to Dianne Ashton VK3FDIZ,Fred Swainston VK3DAC, Jim Linton VK3PC, Peter Young VK3MV and President Phil Wait VK2ASD for help in obt aining the facts and compiling this news item.